The future of Iraqi Kurdistan is on the minds of many in the region today as the invasion of the Islamic State in the summer of 2014 has now been successfully repelled. Many dire and pessimistic predictions can be heard, with some fearing a conflict with Baghdad over territory seized by the Kurds during their offensive against the Islamic State and others fearing further clashes with the Shia militias operating in Iraq. Some even raise the possibility of a civil war in Kurdistan sparked by competing political parties. Cynical readers may already be dismissing such optimism, but there’s something else to know about Chali Mayi, which may give pause to this sentiment. Despite being an idealist and a pacifist, he also happens to be the CEO of the Erbil Training Center (ETC), the largest private military training facility in Iraq as well as the first, and only, training facility recognized and licensed by the Kurdistan Regional Government (KRG) to perform training for government forces and private security companies. 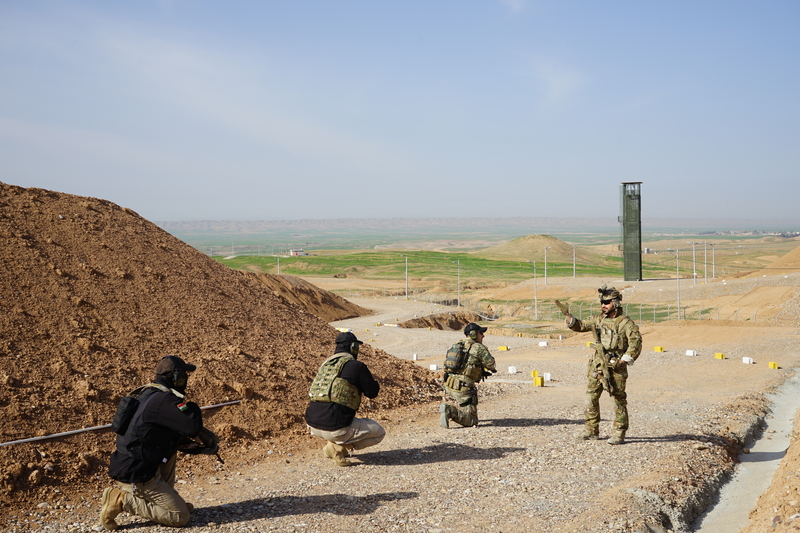 ETC, which started out as a simple shooting range in 2015, has grown into a 63-acre modern training facility located 23 kilometers south of Erbil on the road to Kirkuk that contains all of the equipment and features one would find at an advanced military training center such as those in the United States or Great Britain. The facility boasts several shooting ranges, a 25-meter tower for helicopter training or rappelling work, a tactical driving track, a dojo for close combat training, classrooms, a well-stocked armory and even a weapons lab. The Erbil Training Center has even greater ambitions for the features offered at the facility though. Their Chief Operating Officer, an Italian named Alex Pineschi, enthusiastically ticks off a wish list of future projects that includes a swimming pool, a mock Iraqi village, a bus and an airplane for practicing assault scenarios and an airfield. “We want this company to be the best in the world at what we do,” he says. Eventually burning out on working for large oil companies that he viewed as responsible for many of the problems in the regions where he worked, Pineschi took notice as the Islamic State seized the world’s attention. Finally, in November 2014, he purchased a one-way ticket to the city of Sulaymaniyah and arrived in Iraqi Kurdistan with $1,000 in his pocket to volunteer his military expertise to the Kurds, who at the time had lost large swaths of territory and were facing vigorous and sustained offensives by the Islamic State. However, Pineschi had difficulty persuading the Kurdish Peshmerga military forces to take him seriously and his money did not last long. He ended up sleeping on the streets and missing meals before finally finding a Peshmerga commander that agreed to give him a chance to prove himself. 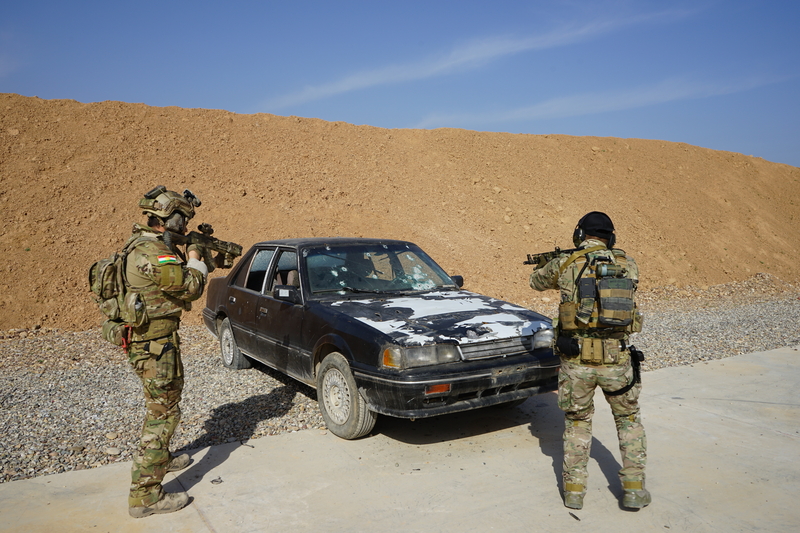 He soon ended up in an elite Kurdish special forces unit known as Task Force Black, which saw a high number of missions and heavy action over the following years. Pineschi eventually became a team leader and an instructor for the unit. Pineschi continues to work as a volunteer with Task Force Black and is still called out on occasion for counter-terrorism operations. However, his primary focus is now on the significant responsibility he has as Chief Operating Officer for the Erbil Training Center. ETC employs a mix of multinational instructors, from countries as diverse as Brazil, Romania and Italy. However, all instructors have one thing in common in that they all have significant military and combat experience. Classes are taught in the universal language of English, but Kurdish interpreters, with extensive military experience themselves, work alongside the English-speaking instructors to get the message across to the Kurds. 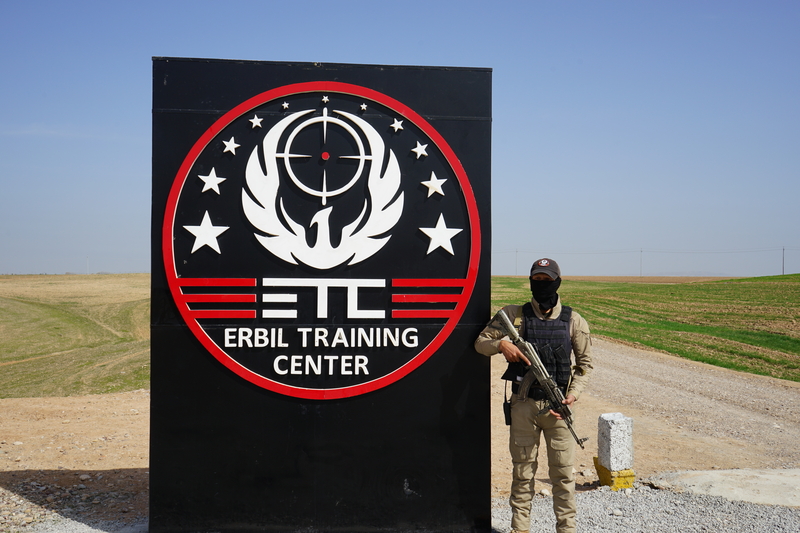 The Erbil Training Center has only foreign instructors at this time, but as part of their ambition to professionalize Kurdistan’s military forces, they hope to soon have Kurdish instructors as well. “We want to train the trainers,” Chali Mayi explained. 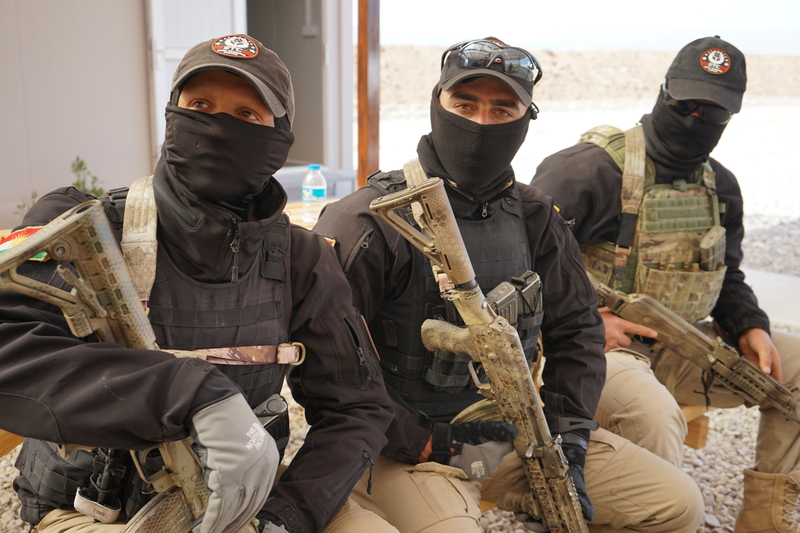 Pineschi estimates that currently 80% of the training done at ETC is for Kurdish military and police forces, but training is also offered for private security companies as well as individuals as part of a class or one-on-one. Classes for civilians focus on such core skills as basic and advanced handling of pistols and carbines as well as marksmanship. Courses for private security companies include such staples as courses on close protection details and security driving. The courses restricted to government entities cover a broad array of military needs ranging from artillery training and helicopter insertion courses to military parachute training and K9 handling courses to such core essentials as basic infantry training. Chali Mayi and Alex Pineschi both described the potential for Kurdistan to evolve into a country resembling Israel. Pineschi expanded on this idea further by explaining that he imagines pro-Western Kurdistan harnessing its vibrant economy and encouraging its budding startup scene in order to grow into an island of prosperity and stability. Like Israel, this island would require a strong military to protect it from the sea of hostile neighbors and endless conflicts surrounding it. Pineschi and Mayi, of course, both see the Erbil Training Center as part of the means for achieving the dream of becoming like Israel, which would be both good for Kurdistan and profitable for them. Tags: Alex Pineschi, Chali Mayi, Erbil, Erbil Training Center, ETC, Kurdish Peshmerga, Kurdistan. Bookmark the permalink. So interesting, fascinating. Keep the good work & keep safe. Thank you! !